Seeing like a highway in the sky, this phenomenon between the same tree species where its leaves do not touch each other at the canopy level. 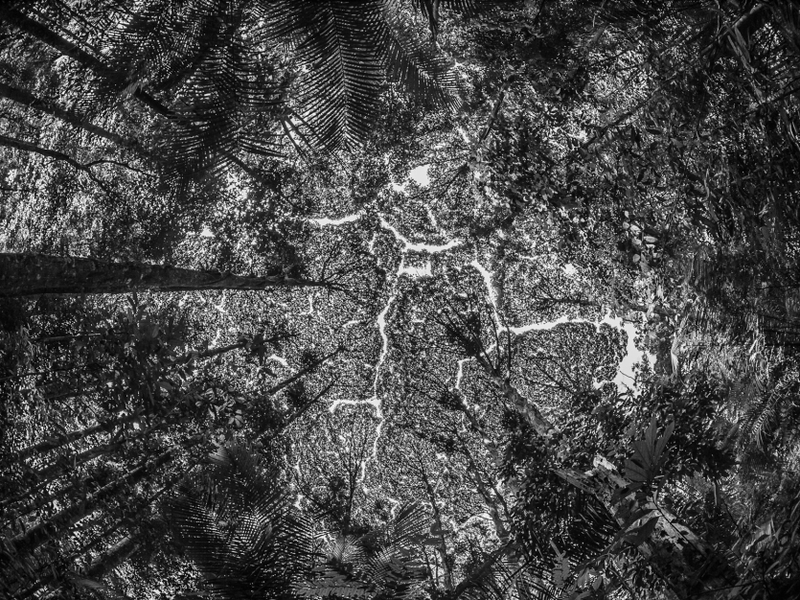 The crown of shyness located within the Forest Research Institute of Malaysia (FRIM) was founded in 1929 to plan and implement research of the conservation of forest resources. From an ant point of view and a fisheye lens, the towering trees stand majestically tall racing to the sky. Protected by governed laws, these trees are here to stay as researchers gain better understanding of forest conservation in Malaysia. This image was photographed within the state of Selangor, Malaysia.